The Chief Minister also said that his government will implement 10% reservation in jobs and educational institutions for the general category in Bihar soon. Nitish Kumar believes that the OBC quota should be divided into two sections. 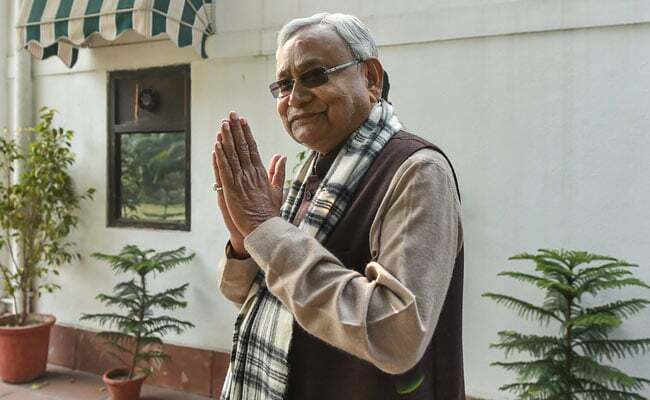 Taking a cue from Lalu Yadav's Rashtriya Janata Dal, the ruling Janata Dal-United in Bihar has also sought enhanced reservation benefits for members of the Other Backward Class (OBC) - a politically significant section of the population - in the country. Chief Minister Nitish Kumar spoke in support of such a move at a press meet today, but admitted that a Supreme Court ruling which caps quota for OBC and Scheduled Caste/Scheduled Tribe communities at 50% could prove hard to circumvent. Addressing reporters on the sidelines of his weekly 'Lok Samvad' programme in Patna, Mr Kumar said he supports the demand for raising the limit to make reservations proportionate to the population of various caste groups. "In my view, the population of social segments such as SCs, STs and OBCs should be taken into account in the next census. Based on its report, the nation can move towards ensuring proportional representation for various castes," he added. The Chief Minister also said that his government will implement 10% reservation in jobs and educational institutions for the general category -- passed by parliament and approved by President Ram Nath Kovind earlier this month -- in Bihar soon. "We are going to implement it. Legal opinion is currently being sought in this regard," he told mediapersons. Speaking on the OBC quota, he said it should ideally be divided into two sections -- with one meant for extremely backward members and the other for the comparatively better off. Although the Narendra Modi government had earlier toyed with such an idea, it was eventually dropped for fear that it may lead to a backlash in neighbouring Uttar Pradesh. The Samajwadi Party had also backed enhanced reservation benefits from the OBC in Lok Sabha debates earlier this month. "We have been pressing the centre to release information on the caste census. We know that report is ready. As more than 60% of the country's population belongs to the backward classes, their share in reservations should be proportionate," party leader Dharmendra Yadav said. BJP ally Apna Dal (S) and former ally Rashtriya Lok Samta Party were among the other political parties that sought increased benefits for the OBC community.